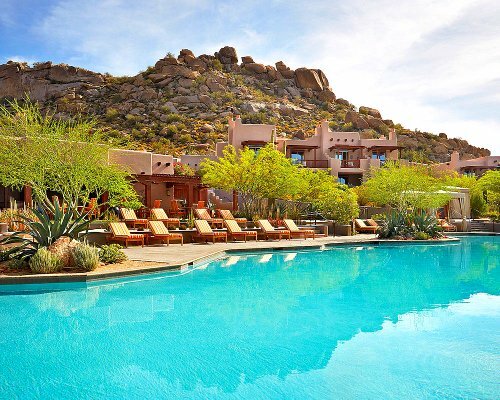 There is one great Arizona Carefree luxury resort called The Boulders Resort and Golden Door Spa and another called Carefree Resort and Conference Center. The Boulders is one of our featured resorts. It's been chosen for it's beautiful location, championship golf course and fantastic spa. Also see the Top Carefree Resort Deals with Reviews on TripAdvisor. Things to do in Carefree. 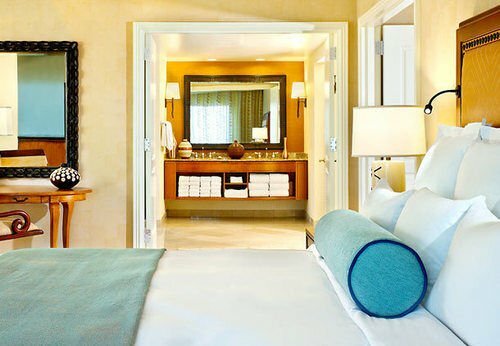 The Boulders is an award-winning luxury resort with excellent reviews from past guests. 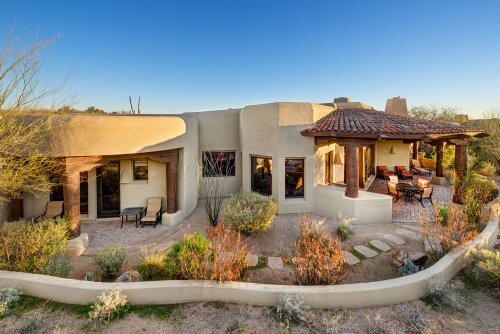 Located in the Sonoran desert, Carefree, Arizona, which is 12 miles from Scottsdale. It is 33 miles from the airport in Phoenix. Golf: A top golf resort in the USA. There are 2 championship golf courses designed by Jay Moorish - 36 holes altogether. There is also a driving range. There are 8 tennis courts. Outdoor activities include rock climbing, hiking, and moonlit mountain biking tours. You'll find 4 swimming pools - one heated and one with a rock waterfall. There are 160 Casistas and 55 1/2/3 bedroom villas. Each has a private patio that overlooks the boulders. They have curved walls, natural wood ceiling beams, Mexican tiling, oversized leather furniture, a fireplace, and a wet bar. Beautifully decorated in Southwestern style. Restaurants: There are 6 Restaurants and cafes, each with a different feeling. You can choose from Southwestern dining for dinner to the spa cafe for a healthy meal or the bar with sports television. What Reviewers Say: Cordial and polite staff, sophisticated cuisine, really nice walking trails, good spa treatments, casistas are spacious and comfortable, amazing property, golf courses are beautiful and challenging, great golf staff, tranquil and peaceful. More Information here for The Boulders. Carefree Resort is located in the historical district in Scottsdale. Amenities: Tennis court, outdoor pool and fitness facility, business center, restaurant, bar/lounge and a coffee shop. The Spa offers massages, treatment rooms, facials. Reviews: while not rated as highly as The Boulders, it does get decent reviews. They keep this resort updated so it doesn't get looking old. Quite a few call it relaxing and like the restaurant. Take a look at the latest reviews here. 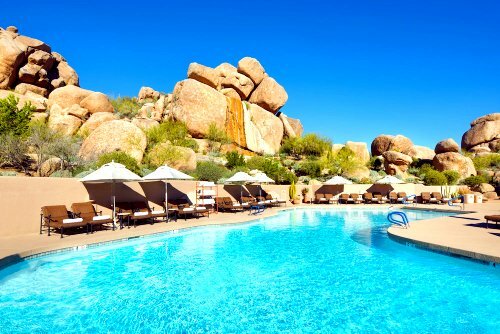 As far as an Arizona Carefree luxury resort, The Boulders is the best. Here are some more just outside of Carefree. About 15 minutes away from Carefree, this resort gets great ratings and has both golf and a spa. A large luxury resort in Phoenix with a golf course, full-service spa and lazy river. 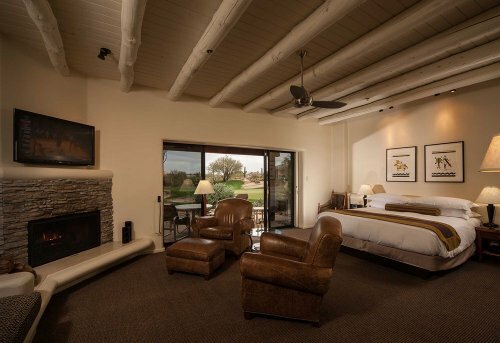 To see more great resorts, visit Arizona Luxury Resorts. 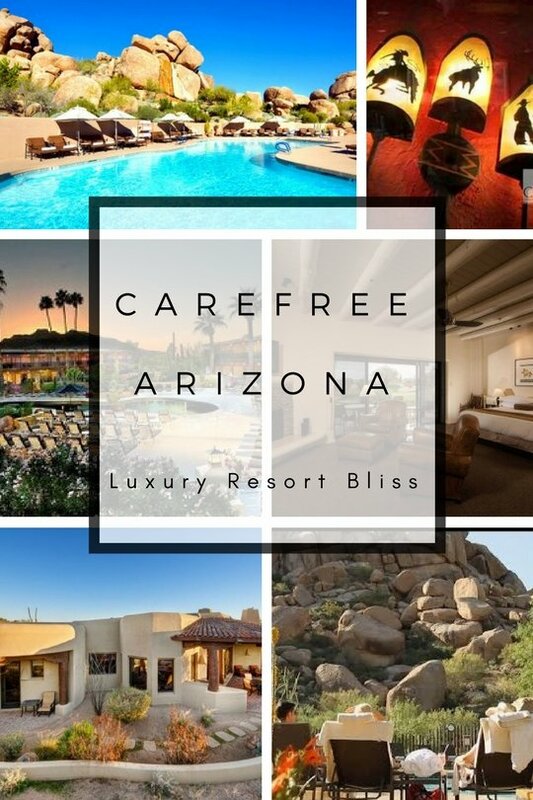 Thanks for visiting our Arizona Carefree luxury resort page!